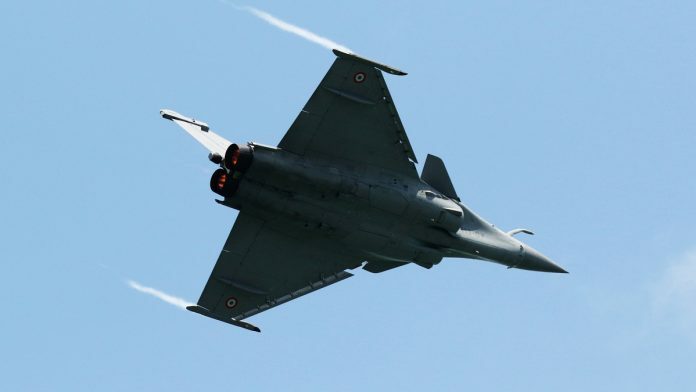 A Union Defence Ministry note from 2015 has triggered a fresh controversy over the Rafale deal between India and France. New Delhi: The Congress Saturday released a new page of the 2015 Union Defence Ministry note at the centre of the latest row on the Rafale deal, which suggests that “parallel negotiations” between the French defence minister’s office and the Prime Minister’s Office (PMO) compromised the Raksha Mantralaya’s position regarding a sovereign or bank guarantee. According to the letter, penned by Defence Ministry deputy secretary S.K. Sharma, the French had told the Indian Negotiating Team that, following discussions with the PMO, “no bank guarantee is provisioned in the supply protocolm and a Letter of Comfort is sufficient”. While a bank guarantee is legally enforceable, a letter of comfort is not. Paragraph 4 of the note, which was not available in the public domain when the controversy first broke Friday, says that “parallel negotiations” between the PMO and the office of the French Defence Minister on the bank-guarantee issue were “contrary” to the position taken by the Indian Ministry of Defence. The essence of the full note is that that the Indian Negotiation Team was allegedly caught unawares by a letter written to panel chairman Air Marshal SBP Sinha by his French counterpart General Reb, informing him about the talks with the joint secretary to the PM and the understanding reached. The French letter said the outcome of the discussions between the diplomatic adviser to the French defence minister and the PMO was that “no bank guarantee is provisioned” and that the letter of comfort provides sufficient assurances about proper implementation of the supply protocol by the industrial suppliers. “The discussions between the diplomatic advisor to the French Defence Minister and the Joint Secretary to the PM tantamount to parallel negotiations while the Indian Negotiating Team constituted by the Defence Ministry is undertaking the process of formal negotiations with the French side,” the Defence Ministry note added. “Such parallel negotiations may be detrimental to India’s interest as the French side may take advantage of the same by interpreting such discussions to their benefit and weakening of the position taken by the Indian Negotiating Team,” para 4 of the note, tweeted by Congress leader Manish Tewari, stated. “This is contrary to the position taken by the MoD and conveyed by the Indian Negotiating Team that the commercial offer should be preferably backed by Sovereign Guarantee/Government Guarantee or otherwise by Bank Guarantee,” it adds. The note is significant because it suggests that the diplomatic adviser to the French defence minister was interacting with the joint secretary in the PMO and not the Indian Defence Ministry. The controversy about the PMO’s alleged interference erupted Friday, after The Hindu published the then defence secretary G. Mohan Kumar’s file noting to this particular note, and claimed the Defence Ministry had “protested against PMO undermining Rafale negotiations”. The Hindu report included only one page of the original note, which showed the fifth paragraph and Kumar’s noting. The then defence minister Manohar Parrikar’s response, calling the concerns an “overreaction”, noted below Kumar’s noting, had allegedly been cropped out of the picture. “It appears that the PMO and French President’s office are monitoring the progress of issues which was an outcome of the summit meeting and para 5 appears to be an over reaction. Def Sec may resolve issue/matter in consultation with the Pr. Sec to PM,” Parrikar had written. The document tweeted by Tewari Saturday had parts of the first four paragraphs. Air Marshal Sinha had told ThePrint Friday that no one from the Ministry of Defence had raised any objections before his team about any sort of “interference” by the Prime Minister’s Office. When pointed out that the words he had used in his noting seemed a bit harsh, Kumar told The Print Friday that he agreed. “It was in the early stages of the negotiation, and, as I said, MoD works differently,” Kumar added. The note shows how Congress eco system ruined our bureaucracy and made them anti Indian.PM negotiation with French Govt to buy 36 Fighters to augment Airforce fire power is disliked by the deputy secretary of defence ministry.He don’t like to the deal as he has personal ambitions of bribe from eurofighter.But Modi needs such kicks by his pet babu.